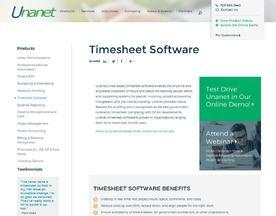 What is Online Time Tracking Software? Online Time Tracking Software provides a platform for companies to manage projects, track tasks, store timesheets and effectively monitor employee performance. As the software is stored in the Cloud, this means that employees can update information and projects from home, work and even smartphone and tablets. The Time Tracking Software here is offered under the SaaS (Software as a Service) model, meaning that the software is web based, hosted on the Cloud and can be accessed when needed through a client or web browser. If you’re interested in online software similar to Time Tracking Software, consider our Task Management or Project Management Software categories.